Diagnostic logging can use large amounts of drive space and writing to the logs can affect drive performance. Also logging can quickly fill the system disk, potentially bringing the entire system to a crashing halt. Therefore, it is recommended to configure logging to write to a different drive. By default, logging is configured to write logs to the drive and partition where SharePoint 2013 is installed. SharePoint 2013 does not limit the amount of disk space that diagnostic logging can use. To prevent SharePoint to fill the disk with log files, especially when using verbose-level events, it is recommended to set a maximum disk space usage. Also a new log file is created every 30 minutes. When the space that is available to the log file is used, the oldest logs are removed and new logging data information is recorded. 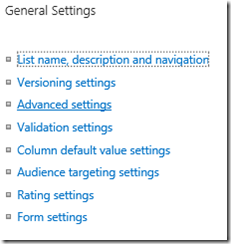 Changing the SharePoint 2013 log settings can be done using PowerShell or Central Admin. 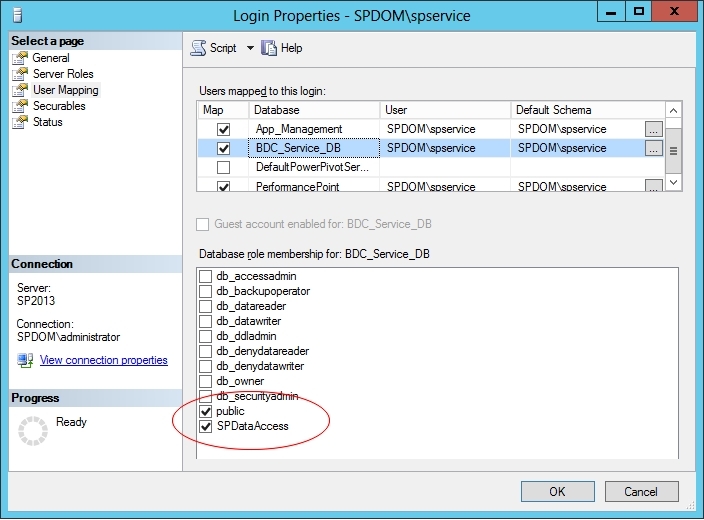 Setting the log location to D:\SPLogs\Health and leave other settings default. The ULS Viewer can be used to view the logs using in a user-friendly interface. ULS Viewer can filter, sort, highlight and append logs to help locate data that is relevant to an issue. 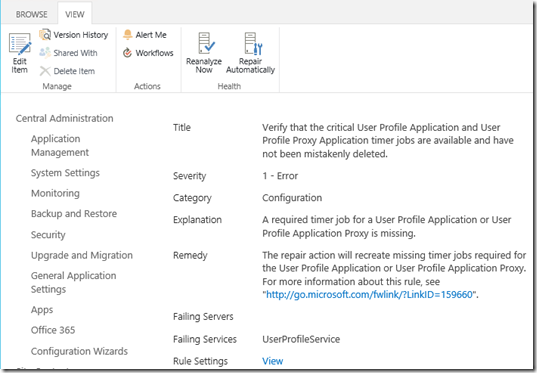 SharePoint 2013 uses correlation IDs, that are identifiers associated with every request and are displayed with error messages. By filtering the correlation ID it is possible to identify the request that caused the error. Clicking on a document in a SharePoint 2013 document library, the document opens in a client application or in the browser. This depends on the setup of Office Web Apps and the settings of the OpenInClient feature per library or site collection. When SharePoint 2013 is configured to use Office Web apps (OWA), Word, PowerPoint, excel and OneNote files are opened in the browser. Even though PDF files are not part of Office when OWA is configured, PDF files are also opened in the browser. 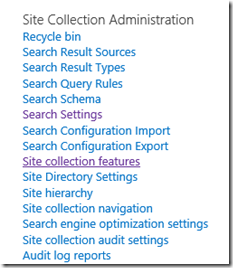 The default behavior can be changed for the SharePoint 2013 Farm per file type, Site Collections or Document Libraries. Changing the default opening behavior for the SharePoint 2013 Farm can be done using New-SPWOPIBinding or Set-SPWOPIBinding commands. 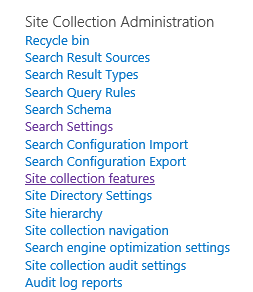 Browse to a SharePoint site collection to configure the default open behavior and navigate to Site settings, Select Site Collection Features in Site Collection Administration section. To open documents in the client application, activate the feature "Open Documents in Client Application by Default feature". The Open Documents in Client Application by Default feature can be Enabled or Disabled by using the Powershell. Browse to a SharePoint document library and select Library tab on the ribbon and select Library Settings. Select Advanced Settings in Document Library settings. In Advanced Settings go to the Opening Documents in the Browser section choose the default behavior. To open documents in the client application, select Open in the client application. To open in web browser, select Open in the browser. The default setting is “Use the server default”. Clicking on “View these issues” displays a detailed notification. The secret to the solution showed up when clicking on the link of the health notification. Some health analyzer rules have an option called “Repair Automatically”. Clicking the “Repair Automatically” button will recreate the deleted timer job. To be sure if the job was recreated check the job definitions under Monitoring and the User Profile Incremental Synchronization job should be there. 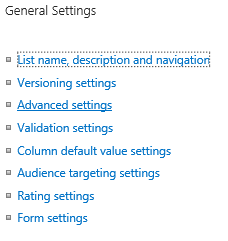 During the installation of SharePoint 2013 there is an option to change the search index location. The default location is C:\Program Files\Microsoft Office Servers\15.0\Data. It is possible to change the search index location to a dedicated volume after the installation using PowerShell. $ssa = Get-SPEnterpriseSearchServiceApplication "Search Service Application"
This will add a second index component with a new index location. New-SPEnterpriseSearchIndexComponent -SearchTopology $clone -IndexPartition 0 -SearchServiceInstance $instance -RootDirectory "E:\NewIndexLocation"
The next step, remove the old index component, should be done when the new index component is ready. This can be checked from Central Admin on the Search Administration page, view the status of the search topology or use PowerShell Get-SPEnterpriseSearchStatus. The new index component must be Active. De cumulative updates van Augustus 2013 voor SharePoint 2013 zijn beschikbaar. De Maart 2013 PU moet geïnstalleerd zijn voordat de Cumulative Update geïnstalleerd kan worden. Voor SharePoint 2013 server is het voldoende om de SharePoint Server 2013CU te installeren, deze bevat ook de SharePoint Foundation 2013 CU. De cumulative updates van Juni 2013 voor SharePoint 2013 zijn beschikbaar. De Maart 2013 PU moet geïnstalleerd zijn voordat de Cumulative Update geinstalleerd kan worden. De cumulative updates van Oktober 2012 voor SharePoint 2010 zijn beschikbaar. 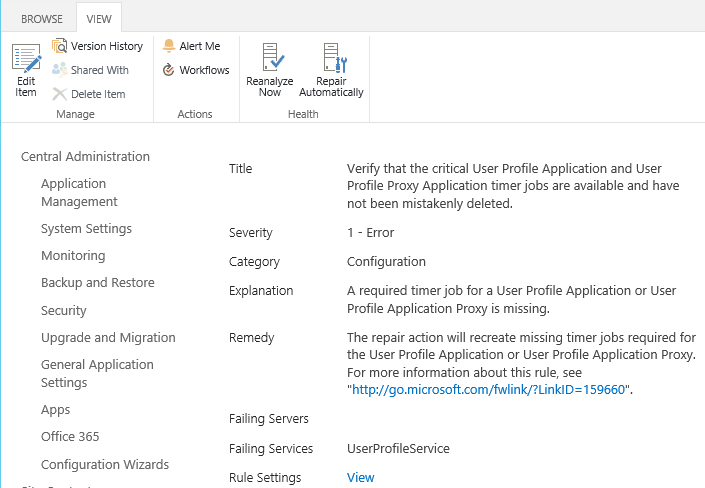 Na het installeren van een SharePoint Cumulative Update en een reboot van de server gaf de SharePoint Configuration Wizard een error. Dit gebeurt wanneer een SharePoint server geen internet toegang heeft en KB 2677070 is geinstalleerd. De reden van de foutmelding is dat er geen update van de certificate trust list kan worden gedownload. Omdat na het installeren van KB2677070 een reboot niet noodzakelijk is komt de fout pas naar boven na de eerst volgende reboot van de server. In dit geval werd er gebruik gemaakt van een proxy server en was winhttp niet geconfigureerd. Wanneer er geen proxy is ingesteld kan dit op 2 manieren worden. ingesteld. netsh winhttp>set proxy 10.10.10.1:8080 "<local>"
Of wanneer er in Internet Explorer een proxy server staat ingesteld kan deze setting worden overgenomen. De cumulative updates van Augustus 2012 voor SharePoint 2010 zijn beschikbaar.